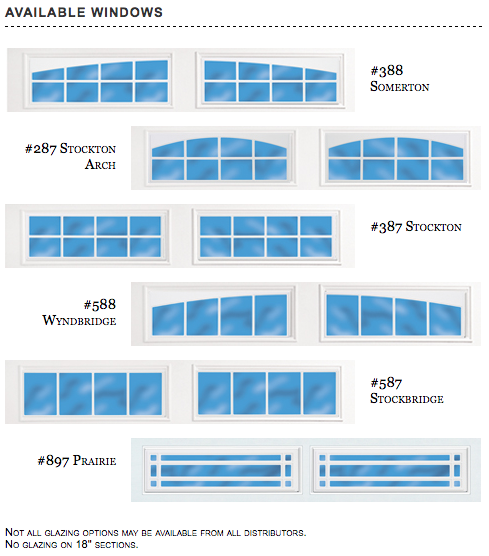 Not all glazing options may be available from all distributors. No glazing on 18″ sections. rolled safety edges on section joints Eliminates sharp edges, and provides extra strength. 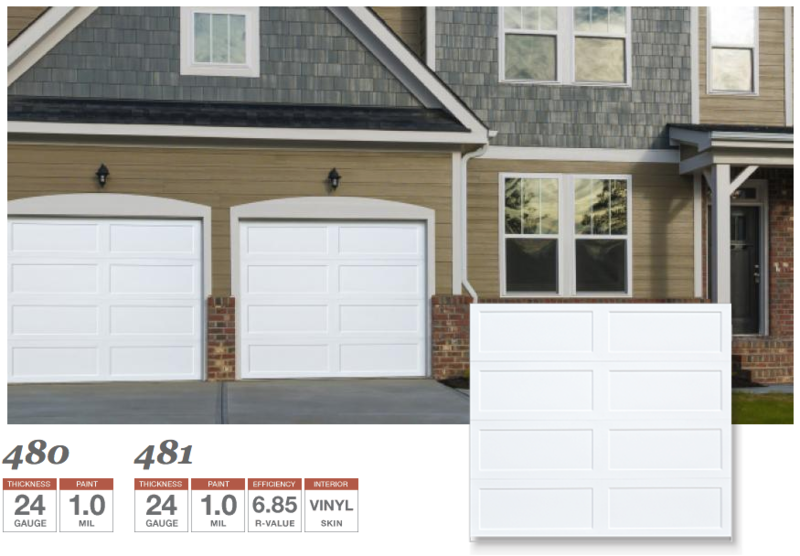 high impact plastic back cover Protects the insulation, and enhances the interior look of your garage door.